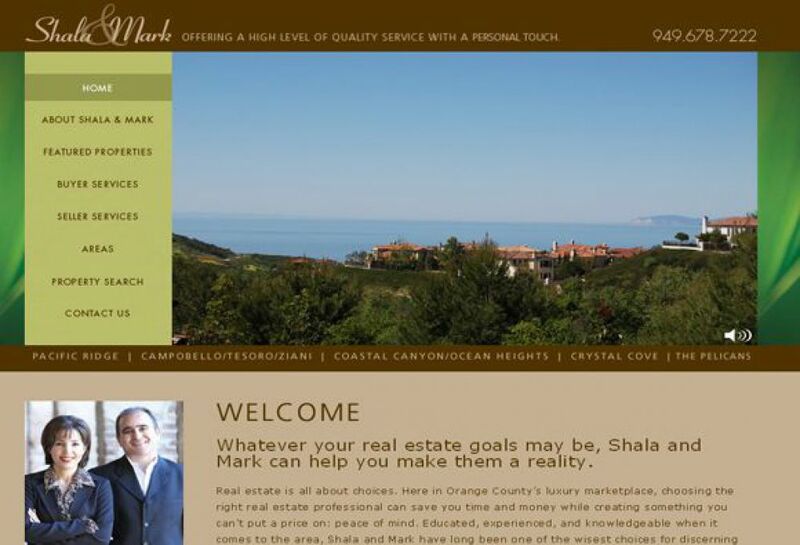 Shala and Mark are realtors in the Orange County. Using their insightful perspectives, Shala and Mark are able to succeed in the competitive luxury market of Orange County. The Shala and Mark website uses contrasting colors in the background to emphasize the quality of their pictures. Their two sidebar navigations each have corresponding colors to direct users to the right place.